MyPoints Review 2018: Is it Legit? All you need to know! Searching the Internet for ways to earn a little cash can be tedious and especially frustrating when there are so many out there offering you this that and the other, and in this Mypoints Review we discover if it is up there with some of the better reward sites. You would think that as Mypoints as been around for quite some time now that they must be doing something right, or are they fleecing their members without you even knowing it? What appears to be the norm with many of these reward sites is that they start off with good intentions, where members could actually make some decent money. Reports from long-serving members are that accumulating $1000 was not out of the realms but nowadays forget it. Not going to happen! Over time like many things in life, more and more similar sites get on the band-wagon and make it harder for the original sites to really progress which mean cutbacks. Squeezing profits which should be passed onto their members! Many declare that they are scamming you, well, in fact, they aren’t and you can save a little cash but the time and effort isn’t really worth it at all. Summary: A shopping rewards website where members can partake in a number of activities and be rewarded with points that you can redeem for cash at a later date. MyPoints Review 2018 – Final thoughts! 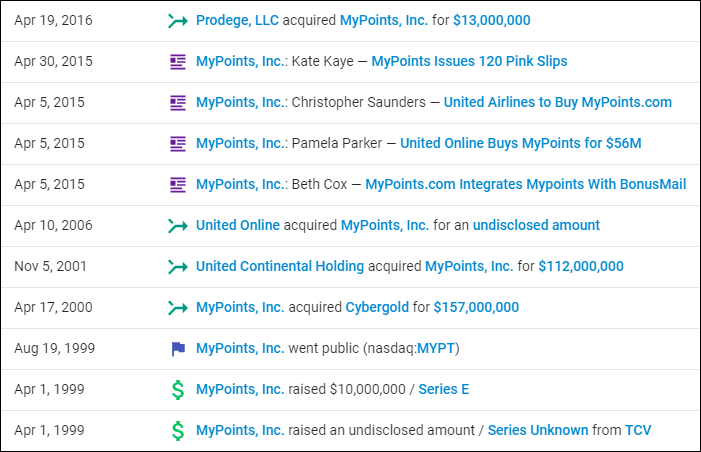 MyPoints was founded way back in 1996 by 2 guys based in San Francisco. It is basically a website that you can join for free and allows you as a member to participate in various activities and in return you are rewarded with points that can be redeemed for gift cards, travel air miles or cash at a later date. We shall take a look at the different ways you can be rewarded later on. Another very popular rewards site that as the same business model and is one of their partners is SwagBucks which you may want to check out as well. 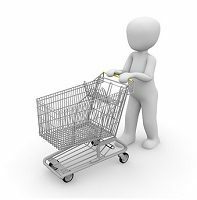 If you plan to use these reward sites then I would check out and register with a few, this way you cover more of your shopping requirements. First and foremost to become a member you need to be resident in either the U.S. or Canada and be at least 13 years of age, and you must have a valid email address for confirming who you are first. Once you have acknowledged the email that you are a real person then you are ready to go. It may be a good thing to download the Daily Scope app for your mobile phone. Whilst you are away from your computer and on the go, earn points watching movie clips and other entertaining videos. Once you have become a member you can immediately start earning points, and they offer quite a substantial number of ways to generate points that you can later turn into gift cards, airline miles or cash. There are a number of ways that you can be rewarded, from shopping online to filling in surveys and answering emails. There are many other ways in which I have tried to highlight in the list below. Don’t forget that once you have joined as a member if you spend $20 within the first 30 days of joining then you will receive a $10 bonus into your account. There are over 1,900 retailers, with many popular ones available to you and sure to find what you are looking for. Amazon, Walmart, Apple, Nike, and Armani just to name a few! The website search criteria make it pretty straightforward to find what you are looking for. Reading emails and just opening them will get you a maximum of 5 points, which equates to around $0.030 per email, but taking action and shopping via the emails will obviously be higher. The amount of emails received is all based on the information that you entered into the system. Need more emails then just go into “My Account”, edit the email subscriptions and add more categories. MyPoints, partners with market researchers who are responsible for handling surveys sent out to you. Surveys sent out to members are based on specific demographics which you entered into the system and these positions fill up quickly so it is a first come, first served basis. These can take anywhere from 5 to 25 minutes and what happens quite often is that you could be 10-15 minutes into a survey and kicked out stating that you haven’t qualified. If you do not qualify for a survey, you will still receive 5 points, so all is not lost and you can earn up to 25 disqualification points per day. You can earn anywhere from 50 to 600 Points depending on the length of the survey. Videos on the website can only be watched either by the desktop or laptop but you can accumulate additional points watching videos on your mobile phone or tablet through the MyPoints app. Everybody loves watching videos like on youtube, but you go looking for them, right? Here you really don’t have much choice! Earning just a few points for playing some video about how to make a cake is not my thing! Some can take as long as 20 minutes! Earn up to 500 points per day. Why not use their own search engine with a chance to win up to 170 points, and rewarded just for searching for things you would normally do on Google. Restrictions are that the search engine only covers Yahoo. 2 Categories exist here for your pleasure! World winner cash tournaments, earn up to 4 points for every dollar you spend. With Casino games, you can earn up to 8 points, mind you when you are on the casino sites you will be pestered with other gambling stuff as well. Why not refer a friend that’s if you don’t want to be friends anymore! This is a one-off payment which requires your friend to register and spend at least $20 within the first 30 days of joining through the MyPoints.com website, email and/or BonusMail, other than Amazon and Games. For your efforts, you will be rewarded with 750 points and your friend 1,750 points. Not the best referral program I have seen but every little helps! Some other ways to reap the benefits! Download the MyPoints score extension to your browser and never miss out on a point earning opportunity or discount. Whilst this could be a good thing, in order to take advantage, you would have to still sign into MyPoints.com through your computer. These can be accessed through the top menu on the homepage, and here you can view the current daily deals by category. You can also find local deals here too along with Living Social and Groupon Deals. Categories such as Health and Wellness, Sports and Leisure, Toys and Hobbies and a host of others to wet your appetite. nCrave activities which can be found in the Videos drop down which allow you to earn additional points whilst introducing you to relevant sites and videos. Yes, you can even be rewarded for printing off original coupons whilst signed into MyPoints.com and will be credited to your account within 90 days of redeeming the coupon. This is a shopping browser extension which alerts you of promotions and up and coming deals so that you don’t miss anything. This can help you earn points you didn’t know about. There are currently 3 ways that you can use to redeem your points. Please note that not all gift cards are valid for Canadian residents. If you haven’t set up your PayPal account then you can go here. It’s free and pretty straightforward. Ensure that your MyPoints name and email address are an exact match to your PayPal account. Allow up to 5 business working days for the transfer to complete. Please note that any points that have not been redeemed over a period of 2 years from the day you were credited may be deemed as expired and will be removed from your account. Unfortunately, all businesses come with their problems and MyPoints is no different. You name it, a member will have complained about it and going into detail would take me a month of Sundays. A big plus is that MyPoints is 100% Free to join and participate in, but then again so are many other sites, and besides if you did have to pay then you’d stay away, right? Goes without saying that the number of merchants registered is extensive with some of the big ones such as Walmart and Amazon. Accredited under the parent name of Prodege with an A rating. This is a common one on all survey sites and extremely frustrating for members, especially when answering questions on a survey for 10 minutes only to be thrown out and told you didn’t qualify. Amazes me really, as they should already know beforehand whether you would qualify for a survey or not! Maybe you have already completed the survey and this is their way of avoiding paying you out. In the very beginning, this never used to happen so you be the judge. This is where the buck stops and if you can’t get issues resolved pretty quickly then that says a lot about a company and something I always look out for. It’s all very well me displaying annoyed members reviews but it all depends just where you look and it isn’t all bad, but more than enough issues for you to make the right judgement call. These sites may be OK for what they were designed for and that’s shopping. Watching videos, answering emails, playing games and filling in surveys as far as I am concerned is an afterthought. The whole point of all the different types of categories is to try and keep you on their site for as long as possible! Seriously, if you are thinking of scraping together a few dollars through the vast amount of different activities, then my recommendation would be to stop wasting your time. MyPoints is a legit company where you can pick up a few dollars here and there but looking at members who have been a part of the company since the very beginning, they will tell you that things used to be good and you could earn a reasonable amount but not now. 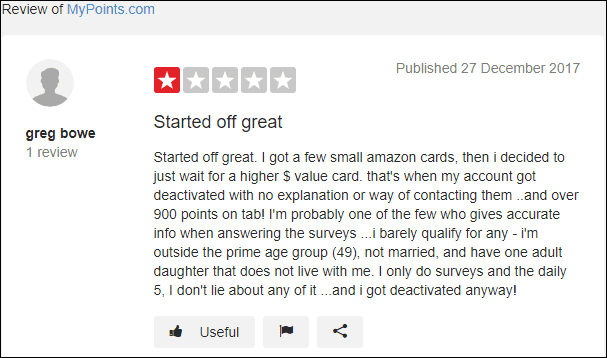 According to many, problems started when Swagbucks became a partner and MyPoints tried to replicate what Swagbucks has and this is evident here. Almost a mirror image! If you check out the “facts” at the beginning of this article you will see that there has been a lot of money exchanged hands over the years and just a shame their members aren’t looked at more favourably. I guess hard times are here for everybody! Reward sites might be OK for saving a little here and there whilst shopping. I mean we all need a helping hand in that department, just don’t be fooled into thinking that these sites are a money-making opportunity because they are not. They will drive you up the wall with frustration! 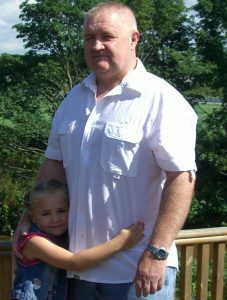 If what you are trying to do is make money online and are sick and tired of these sites and looking for a way to a better future then I might have a solution and the beauty about this is that it is also Free to join. No Catch! Just take a look at this article and see what you think? I am sure there are many frustrated readers out there who have been or are members of rewards sites like MyPoints or maybe you are thinking of joining one? I know the frustrations of trying to make these sites work because I have tried, but nowadays I have better things to occupy my time with, like helping others like yourself to avoid these and only recommend sites that I truly believe in. If you have any questions about MyPoints, reward sites in general or anything for that matter just leave me a comment below and I will get back to you. I have seen sites out there like this that promise to help people earn money online, but most of them take a lot of time and effort for very little return. I have made decent money with MTurk, but again this takes a lot of work to build up money. It is better to do affiliate marketing and earn residual income. 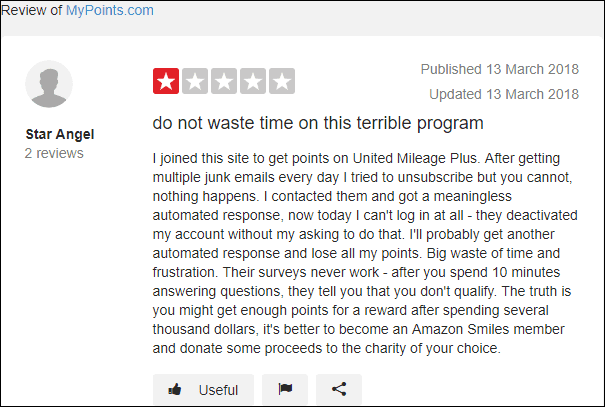 Thanks for the review on MyPoints. Hey Wendy, it’s pretty clear to me that in the beginning people could actually make some decent money with these reward sites but not anymore. If you are already shopping online then, by all means, check them out but sitting there wasting your life away for a tiny pittance filling in surveys and playing games is soul destroying. Thanks for taking time out, much appreciated. Great review on MyPoints. I have personally used Swagbucks before and after a few hours I knew it wasn’t for me. Mostly because it didn’t suit my purposes. I wanted an excuse to play videos and games and make money while doing it, these kinds of online sites are very structured and aren’t worth the time in my opinion. I also couldn’t agree more in regards to the video lengths, ugh! Hey Jacob, I myself have tried several and they drove me up the wall with frustration, and whilst I thought they might be a money-making opportunity here, I found out very quickly that they weren’t and ended up wasting many hours. It’s hard to just know who to believe when it comes to trying to make money online and these sites are just a complete waste of time. Only one person actually making any money here and that’s the site owners. 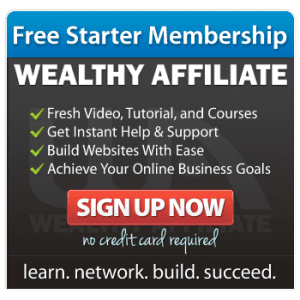 Affiliate marketing is how these websites operate, which got me thinking about finding a training platform that teaches all of this, which is what I did. 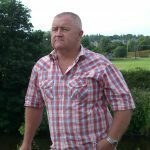 Next Next post: My Quidco Review 2018 – With over £50,000,000 paid out in 2018 alone – Are they the Best UK Cashback Site?